Society buyer Marcel Orford-Williams helps explain the eccentricities of France's largest wine region. Where do we start in a region so huge? 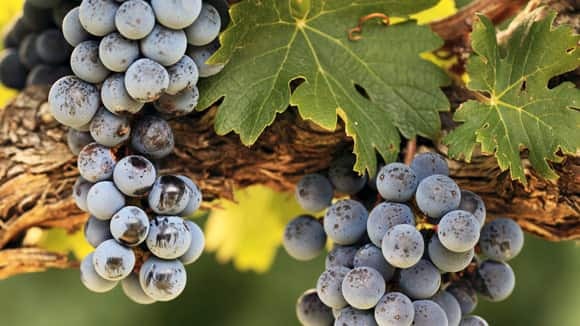 With production nearly three times that of Bordeaux, or more than the whole of Australia, the Languedoc-Roussillon accounts for about a third of all French wine made. The sheer scale of production and the intense competition to channel such volumes through to the market means that in most years supply is greater than demand so prices are kept in check. It is not for nothing that wines from the South of France offer such great value for money. Here you get what you pay for. The trick is to get beyond the gain line and tap into a rich vein of almost endless vinous pleasure. Officially, these are two quite different wine worlds that live side by side almost, seemingly, in complete ignorance of each other's existence. Luckily, reality is different and most producers see no conflict between the two and many produce wines under both codes. Nor is one necessarily better than the other. Indeed many of Languedoc's most iconic wines, such as Mas de Daumas Gassac and Grange des Pères, are Vin de Pays. So why the difference? 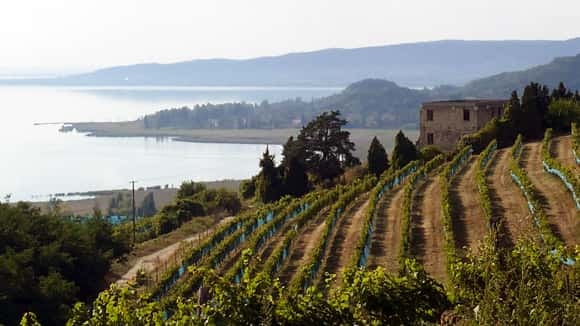 The status of Appellation Contrôlée was gradually conferred to the historic heartlands of Languedoc-Roussillon, in other words those sites in the foothills of the Massif Central and Pyrenees where viticulture has existed since the Romans. Appellation status is also about taste and about wine made from a narrow selection of mostly Mediterranean grape varieties. Vin de Pays was introduced to improve the quality of what was then the mass of 'vins ordinaries'. It confers an identity to wines coming from those areas that were planted during the big periods of expansion, mostly in the plain between Narbonne and Pézenas. It allows for higher yields than AC, and, more importantly, allows a much wider palette of grape varieties for the growers to choose from. The term appellation contrôlée is very gradually being superseded by appellation d'origine protégée or AOP for short. The now obsolete term VDQS has all but disappeared. The same Europe-wide legislation that meant a change of name for AOC wines applies to vin de pays too and from the 2010 vintage this category is officially called IGP, or indication géographique protégée (though the term vin de pays is still permitted and often used on labels). Read more on this here. Languedoc-Roussillon is France's answer to the New World. In the duality of Appellation Contrôlée and Vin de Pays, the conformism of Parisian bureaucracy goes hand in hand with the creative spirit of pure liberalism. So in terms of grape variety, almost anything goes! Native Languedoc and Roussillon varieties are at the heart of all appellation wines. With a changing climate and a tendency to extremes of weather, these ancient varieties are gaining favour. Carignan is the workhorse of Languedoc especially in the drier west. Carignan has never enjoyed a good press. The problem is that when left to its own devices it is capable of plethoric yields, and high-yielding carignan is of no interest. However, pruned back and planted on hillside sites it can be much more interesting. At its best, it produces a wine that is deeply coloured, quite tannic, sappy with brambly fruit. 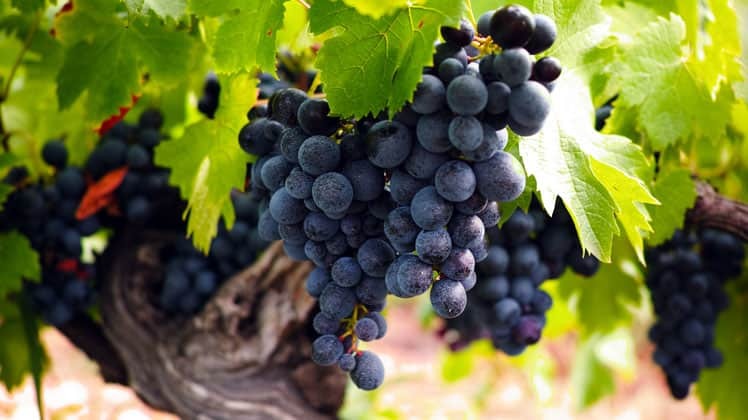 Grenache produces round tasting wines, often with low tannin and high alcohol and is rarely to be found on its own except in the fortified reds of Roussillon. Cinsault belongs in the heat of North Africa. In the South of France, it is widely grown and can add fragrance and lightness of touch to big brawny reds, but more often it is made into rosé. Like carignan, the native whites are more obviously associated with high production but with careful handling can produce wines of real interest. There is maccabeu and grenache blanc, grown mostly in Corbières and Roussillon. Clairette, grown mostly in the east, closer to the Rhône. Terret is grown extensively around Marsseillan, home of French vermouth. Maybe the best of all is the Piquepoul which east of Beziers produces good quaffing dry Picpoul de Pinet. 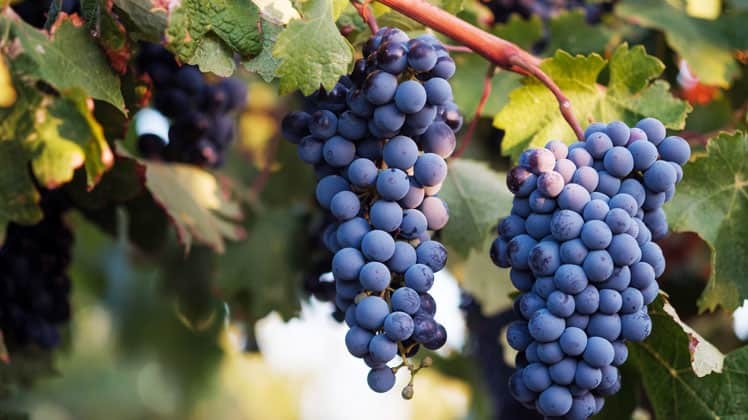 Muscat used to be grown exclusively for vin doux naturel such as Saint Jean de Minervois and Rivesaltes but also produces full-flavoured dry wines of some interest. 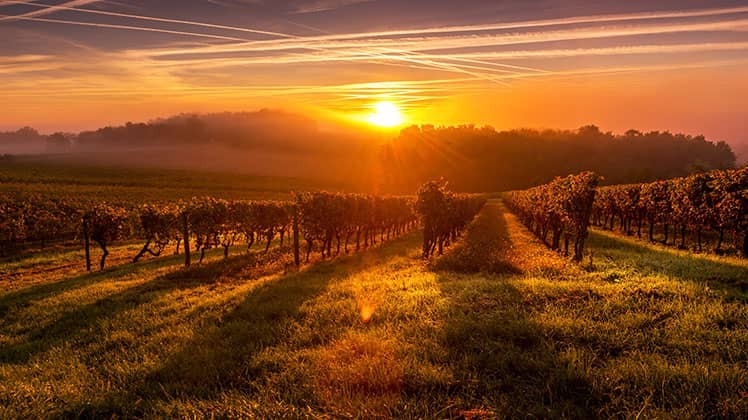 The biggest change in the South of France was the introduction of other grape varieties to help boost quality. For the reds, syrah was the most obvious import and is now widely planted and is usually part of a blend with grenache and/or carignan. Syrah is at its best where there is a little humidity such as in the east around Pic Saint Loup. Mourvèdre is much more complicated to grow but has a real future in areas close to the sea such as in parts of Fitou and Corbières. For the whites, roussanne and marsanne have also journeyed south from the Rhône to add finesse and flavour to Mediterranean blends. Increasingly, the Corsican vermentino, also known as rolle, can be found in blends where it often has a positive influence. Bordeaux has for long been an important connection for the Languedoc with the Canal du Midi there to prove the link. Not surprisingly, Languedoc producers were quick to introduce Bordeaux varieties in their vineyards. Merlot is the most widely planted and in some years has been very profitably exported in bulk to California or back to Bordeaux. The later ripening cabernets are probably better suited to the climate of the south and have great potential. Another revolution across the South of France has been in the quality of the whites. Before new standards of cellar hygiene and refrigeration were introduced, the concept of a fresh, dry and fruity Languedoc-Roussillon white wine was nigh impossible. 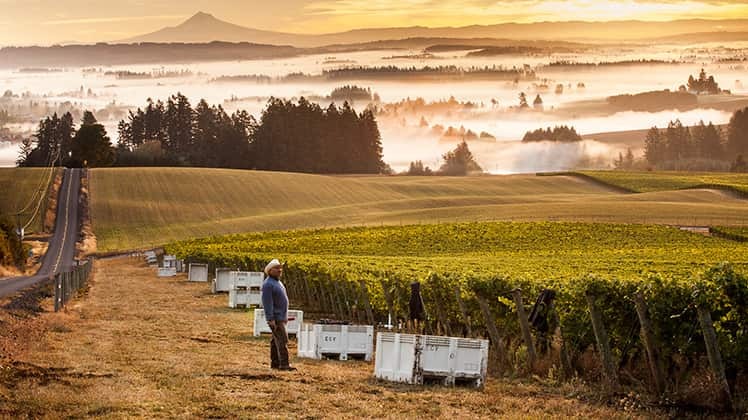 Growers like Pierre Bésinet at Domaine du Boscand Louis-Marie Teisserenc at Domaine de l'Arjolle were quick to spot the potential and successfully plant chardonnay, sauvignon and even the mysterious viognier. Languedoc-Roussillon is such a large region that it is impossible to generalise about the entirety. It helps to divide it into three main sections. Eastern Languedoc stretches from an ill-defined point by Béziers to Nîmes where an equally ill-defined border separates the Languedoc from the Rhône Valley. Not surprisingly the style of wine produced here is often Rhône-like: generous, thickly textured and often high in alcohol. Syrah is the outstanding grape variety and it blends well with grenache and sometimes mourvèdre. Faugères - One of Languedoc's most successful appellations. The best producers are Jean-Michel and Véronique Alquier who make decidedly Rhône-like wines. Côteaux du Languedoc - Complex grouping of lots of different terroirs covering both east and west Languedoc. Pic Saint Loup is the best and is fabulous for Rhône-like syrahs. Top producer is André Leenhardt of Chateau de Cazeneuve. Montpeyroux is not far behind and equally exciting. Best wines often have a little carignan and the best producer, Sylvain Fadat of Domaine Aupilhac, even makes a cuvée of pure carignan. Nothing remains static in Languedoc and the old Côteaux du Languedoc is about to be replaced by a new appellation called simply Languedoc. 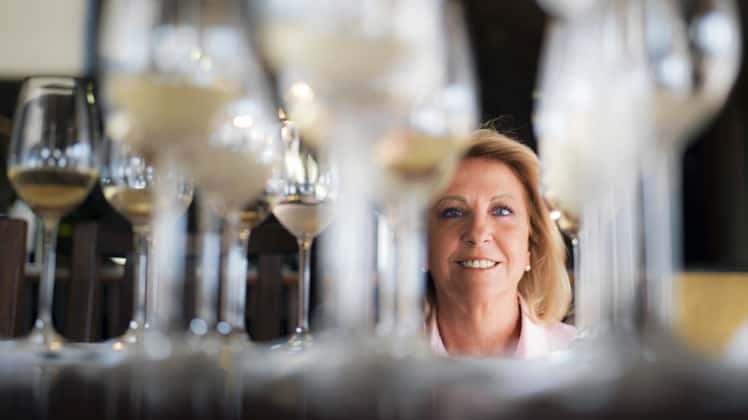 Claude Jourdan at Domaine Félines-Jourdan already uses the new appellation for her outstanding Picpoul de Pinet. 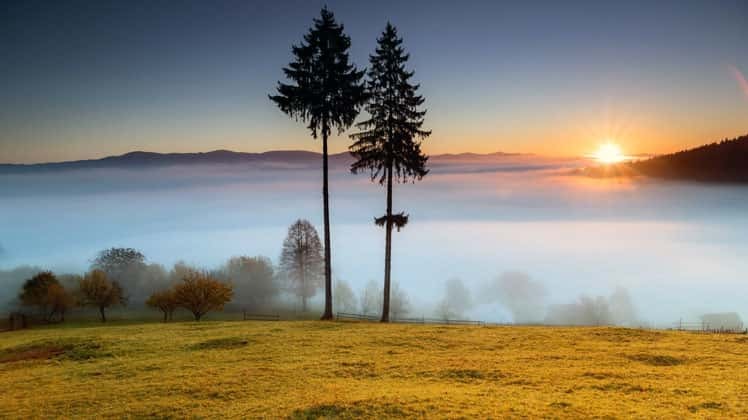 This area is more dramatic, mountainous, and much drier than the east, but it's also colder and the austerity of its climate and topography can be tasted in its wines. The carignan grape is often an essential element in many of the reds. Saint-Chinian - Big pungent reds, many from syrah and grenache grapes, but the best have a little carignan to bring the alcohol down. There are many good producers but the best are probably Isabelle and Matthieu Champart of Mas Champart. They make a sensational Cuvée Vin de Pays of 75% cabernet franc and 25% syrah. 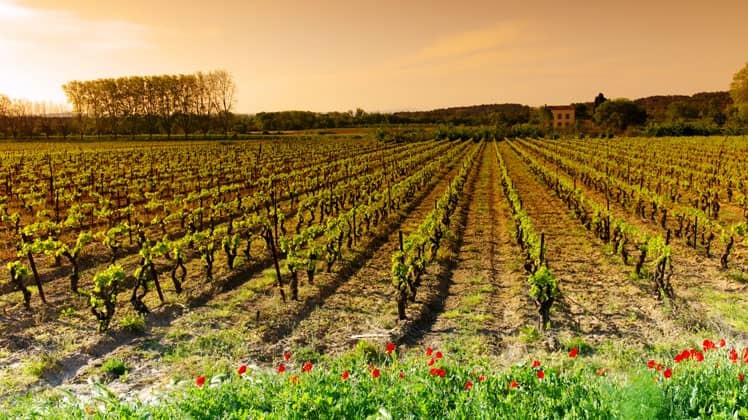 Saint Jean de Minervois - Between Saint Chinian and Minervois proper, a patch of brilliant white limestone around the village of Saint Jean de Minervois is home to the muscat grape which makes deliciously sweet vins doux. Best producer is Raymond Miquel of Domaine de Barroubio. Minervois itself extends along a series of arid, stony terraces between the Aude and the Montagnes Noirs. The best bit is around the village of La Livinière. The wines are typically medium bodied with a certain reserve and moderate alcoholic strength. More Bordeaux-like than Rhône. Best producers are Isabelle and Laurent Coustal of Château Saint-Eulalie. 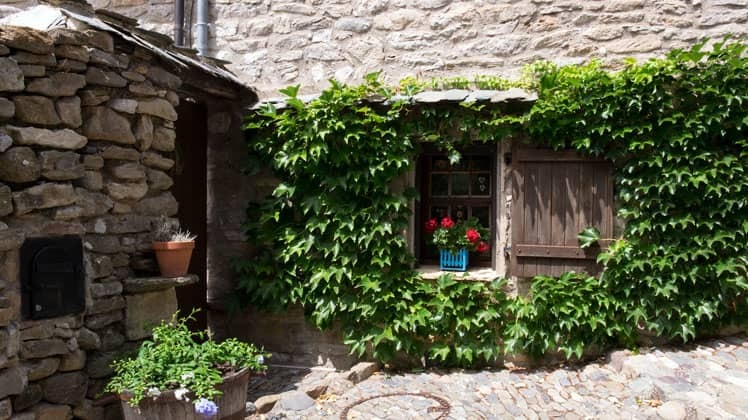 Cabardès, further east and sitting astride the walled city of Carcassonne, is more Bordeaux-like still, and includes in its blends both Languedoc and Bordeaux varieties. The wines are delightful, refined and even lower in alcohol. Best producer is Comte Nicolas de Lorgeril at Château de Pennautier. South of Carcassonne, the verdant valley of the Aude is even cooler and more dominated by the Atlantic. Bordeaux grapes thrive here. There is even a little pinot noir but historically the best wines are sparkling Crémant de Limoux, once made only from the local mauzac grape but now with more chardonnay and chenin. Best producer by far is Françoise Antech. 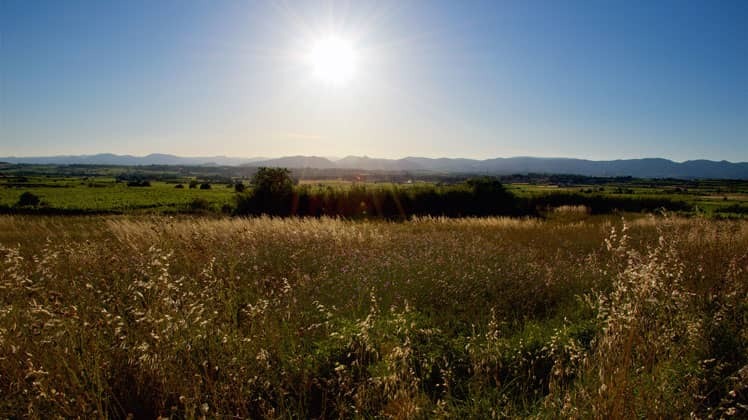 The vines of Limoux in fact are planted on the eastern edge of the Corbières, the largest single appellation in Languedoc, with myriad different styles from different soils and microclimates. This veritable chaos of crags, gorges, strewn with castles, wild herbs and abandoned abbeys encapsulates the heart of the Midi. The wines all have a little of that wildness and wonder though Baron Eric de Rothschild has done his best to bring a sense of refinement at Château d'Aussières. 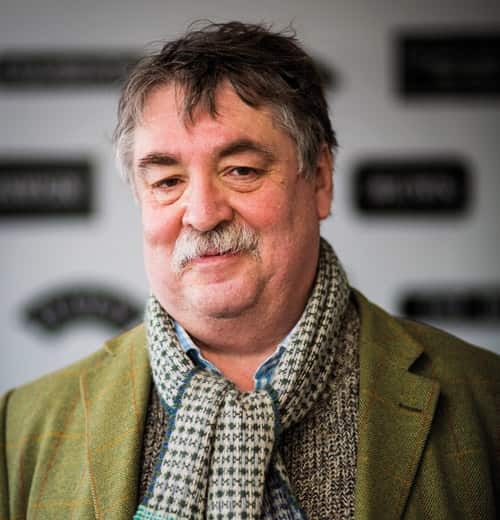 Best producer is Pierre Borie at Châteaux les Ollieux-Romanis, supplier of the new Society's Corbières. These are dry, hot regions surrounded by mountains which provide a majestic backdrop. Fitou is the oldest Appellation and confusingly comes in two parts. The best wines though come from in between in what is actually southern Corbières. Best producer is the cooperative of Embrès & Castelmaure. Black Schists on the north bank of the Agly make the best reds. These are typically fine and spicy with grenache and syrah. 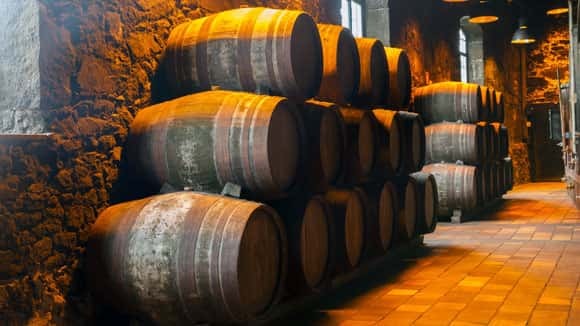 Traditionally the best-exposed sights near the village of Maury have produced sweet fortified wine. 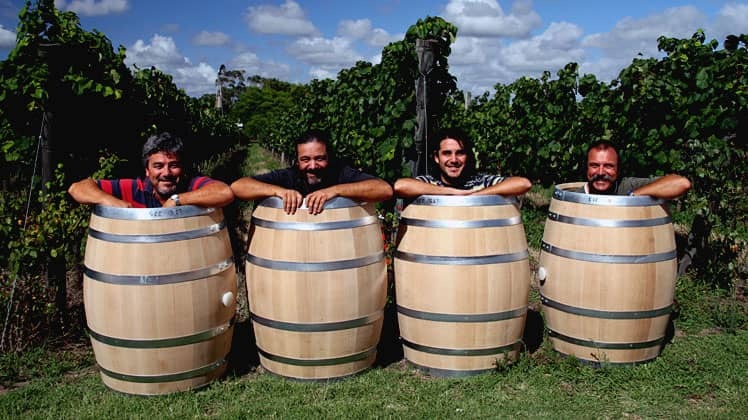 Préceptorie de Centernach produces both table and fortified wines which are among the best in the region. High mountains provide the opportunity to plant vines at higher altitudes and make fresher wines. Best wines in this style are made by Gérard Gauby. Finally, this vast region ends in a narrow strip of land between mountain and the sea and with Spain on two sides. Twisting lanes and vertiginous vine terraces link the little ports of Collioure, Banyuls and Cerbère. The fortified wines are sold as Banyuls and are mostly Grenache-based with a little carignan. Domaine du Mas Blanc makes the best in a traditional, aged style while Domaine de la Rectorie makes better 'ruby'. The Collioure appellation is for expressive, full-bodied and refined table wine which can be made from several grape varieties: carignan, syrah, grenache, mourvèdre and counoise for the reds and grenache, roussanne and vermentino for the whites. There are some 30,000 growers in Languedoc-Roussillon and though there are some really big estates most are smallholders and most of these deliver their grapes to over 300 co-operatives that account for about 80% of production. The co-op's job is to protect the interest of members first and to clear the decks in time for the new vintage. Quality by itself is not much of a concern and historically most customers have never been particularly choosy. So there is still a lot of indifferent wine from co-ops but a few do stand out. These are mostly small, hardly bigger than a large estate. 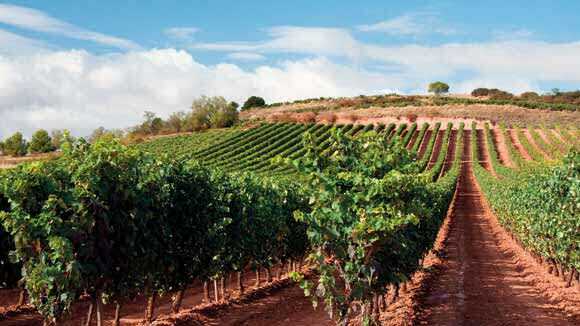 At Embrès & Castelmaure in the Corbières or Cases de Pène in Roussillon, there is real passion for making delicious and even outstanding wine such as the Corbières Grande Cuvée from Castelmaure. By and large though most of what is best from Languedoc-Roussillon comes from a growing band of impassioned and often highly individualistic growers. The négoce side of the wine trade does exist but by and large it serves only to provide the lowest denominators for the supermarkets and discounters. The fate of so many millions of litres remains in anonymous mediocrity. The Wine Society's purchases from Languedoc-Roussillon are but a drop in the ocean but we have a very positive role here, selecting from around 50 growers from all the key appellations and creating dozens of delicious and inexpensive blends for our delight. "Whilst this is a good article, can we correct some of the geographic references please? Cabardes is to the West of the Languedoc, not further east as quoted. And Limoux is on the Western side of the Corbieres appellation and generally wines from here come under the Pays D'Aude name. Thank you."